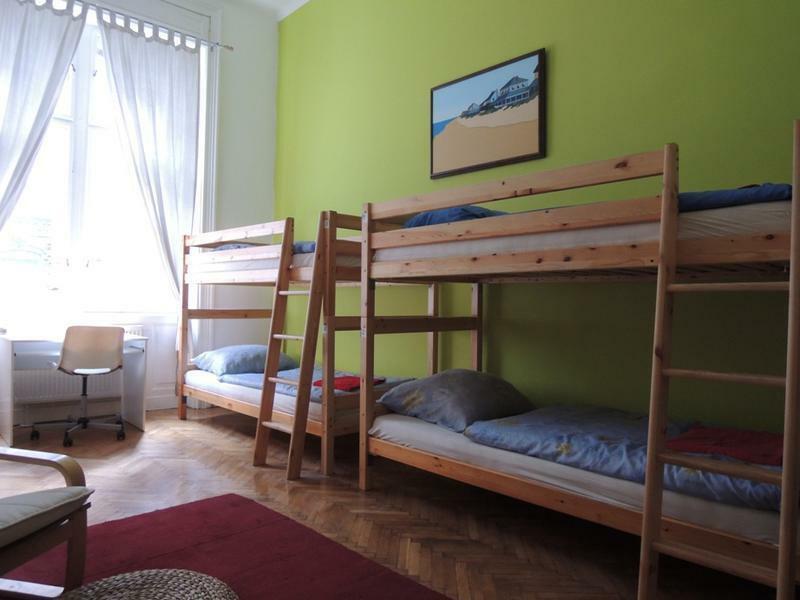 Welcome in the friendliest hostel of Budapest! You have just found the right place if you need a really comfortable bed where you can rest after the whole day sightseeing or after a long night of parties! Goldfish is small and cozy. This is the best choice if you enjoy homely atmosphere. Here you can find everything you need, like 24 hours hot water, a nice kitchen to cook in, free wifi to plan your next step and helpful English speaking staff. We know all the good places and attractions which are worth a visit and we can hardly wait to share this knowledge with you. Take the underground Metro one stop till 'Blaha Lujza ter', change to tram number 4 or 6 (every 4 minutes) towards 'Szl Klmn ter'. Travel two stops until 'Kirly utca'. Get off and pass KFC we are in building number 98/b (a few corners from KFC). Take tram number 4 or 6 (every 4 minutes) from in front of the station towards 'Fehervari ut' / 'Moricz Zsigmond'. Travel two stops until 'Kirly utca'. Get off and pass KFC we are in building number 98/b (a few corners from KFC). 'Kbnya-Kispest' metro station, from there take the underground metro until 'Corvin negyed'. Change to tram number 4 or 6 (every 4 minutes) towards 'Szl Klmn tr'. Travel five stops until 'Kirly utca'. Get off and pass KFC we are in building number 98/b (a few corners from KFC). Take the underground metro until 'Corvin negyed'.Change to tram number 4 or 6 (every 4 minutes) towards 'Szl Klmn tr'. Travel five stops until 'Kirly utca'. Get off and pass KFC we are in building number 98/b (a few corners from KFC).